You are currently browsing the monthly archive for April 2017. The Bonhoeffers had immigrated from Holland (van den Boenhoff from Nimwegen) in 1513 and settled as goldsmiths in Schwäbisch Hall. After the seventeenth century they became pastors, doctors, city council members and mayors. ~ Eberhard Bethge, Dietrich Bonhoeffer: A Biography (Revised Edition); Chapter 1: Childhood and Youth: 1906-1923, 9. You can read Mr. Davis‘s full response to Spicer’s statements here. Soon after Adolf Hitler took over Germany’s government early in 1933, his now infamous Third Reich started its anti-Jewish policies that led to the deaths of millions of Jews in the Holocaust. It was not difficult for the Nazis to blame the Jews for Germany’s problems; anti-Semitism was widespread throughout the western world, certainly including the United States. In this sociopolitical climate, it was difficult to speak up for German Jews; few mustered the courage to do so. Dietrich Bonhoeffer, a young Lutheran pastor and theologian, did oppose the Hitler regime and he went far beyond, becoming a double agent in the Abwehr, German Military Intelligence. Bonhoeffer’s indirect participation in one of the assassination plots against Hilter led to his execution by hanging on April 9, 1945, at Flossenburg prison, 23 days before Allied troops liberated Flossenburg. Germany surrendered in May 1945. Bonhoeffer’s execution came after the discovery of the papers of Admiral Wilhelm Canaris, head of the Abwehr. Canaris and others also were executed, including Dietrich Bonhoeffer’s brother Klaus and two brothers-in-law, Hans von Dohnanyi and Rudiger Schleicher. So the Bonhoeffer family paid heavily. Dietrich and his twin sister Sabine were the sixth and seventh children of Karl and Paula von Hase Bonhoeffer. The father was a distinguished professor of neurology and psychiatry at the University of Berlin, Charite Hospital. Paula was from a family of artists and musicians. Dietrich was a gifted pianist and could have had a career in music. He somewhat disappointed his parents by deciding, when he was a teenager, to be a theologian. He had a brilliant intellect, earning a doctorate (University of Berlin) at age 21, too young to be ordained as a pastor. At Union Theological Seminary in New York, he was a friend of Frank Fisher of Alabama who introduced Bonhoeffer to the Harlem church of Adam Clayton Powell Sr. Bonhoeffer often was at the church. Biographers suggest that Fisher’s experiences as a black American influenced Bonhoeffer’s 1933 essay, “The Church and the Jewish Question,” which addressed problems the German church faced under Nazi rule. The big question was how the church would respond to the government’s action against Jews. Many German Protestants welcomed the rise of Nazism. Deutsche Christen (German Christians) was the state church and its leaders espoused Nazi ideology and advocated removal of the Old Testament. The church approved the “Aryan Paragraph,” which prevented non-Aryans from being ministers or religious leaders, just as it applied to other professionals. But it has been replaced and I am up and running again! The other day, I posted this picture of a church sign created by someone who clearly lacked self-awareness. Did he think the torture of Jesus was funny? Who was he trying to impress? I had no clue. But the only thing the sign seemed good for was giving atheists a good laugh. It’s an obvious pun, when humor is clearly inappropriate. We’re talking about murder, and not just any murder, we’re talking about the violent, grotesque crucifixion of our beautiful Savior. While these good Baptists may have meant it well, there’s an inescapable glibness in the words. About 20 minutes later, the phone in my office rang. “Hello, this is Jonathan,” I answered as usual, expecting to hear a choir member with a question, or perhaps a return call from that publisher I’d recently contacted. Nope. It was none other than Living Hope’s pastor, whom I do not know. He had apparently found my name, looked me up, and called me at my office. I was dumbfounded. It gets even more interesting from there, and I would urge you to read about their conversation here. 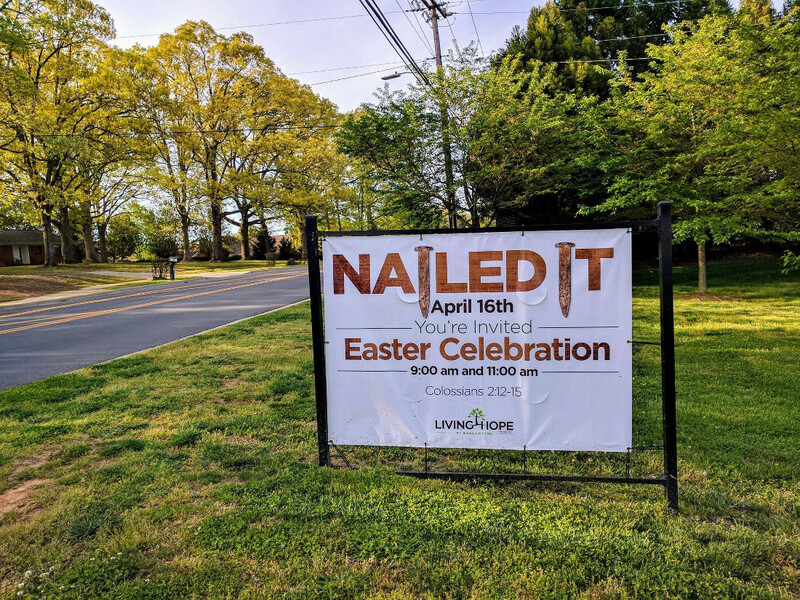 When it comes down to it, though, it looks like the church tried to “sell” the story of Jesus to an otherwise uninterested audience and chose an awful way to get the message across. They also issued a statement on Facebook Thursday night. There’s no apology or even any acknowledgement that it came across the wrong way. They basically said that Jesus getting nailed to the cross is in the Bible (get it? GET IT?) as if that’s supposed to clear everything up. Between my own blog, this one, and a couple others, I’ve written about 1,500 posts in the last six years. I try to do it well, with a less formal tone and much greater pace than typical academic writing but still reflecting a reasonably careful degree of prior research. But I’m afraid that my haste sometimes leads me to sloppiness — worse yet, sloppiness on topics where I’m writing outside of my fields of direct expertise and already at risk of stepping heedlessly into scholarly minefields. Marsh and Metaxas have dragged Bonhoeffer into cultural and political disputes that belong in a U.S. context. The issues did not present themselves in the same way in Germany in Bonhoeffer’s time, and the way they are debated in Germany today differs greatly from that in the States. Metaxas has focused on the fight between right and left in the United States and has made Bonhoeffer into a likeable arch-conservative without theological insights and convictions of his own; Marsh concentrates on the conflict between the Conservatives and the gay rights’ movement. Both approaches are equally misguided and are used to make Bonhoeffer interesting and relevant to American society. Bonhoeffer does not need this and it certainly distorts the facts. 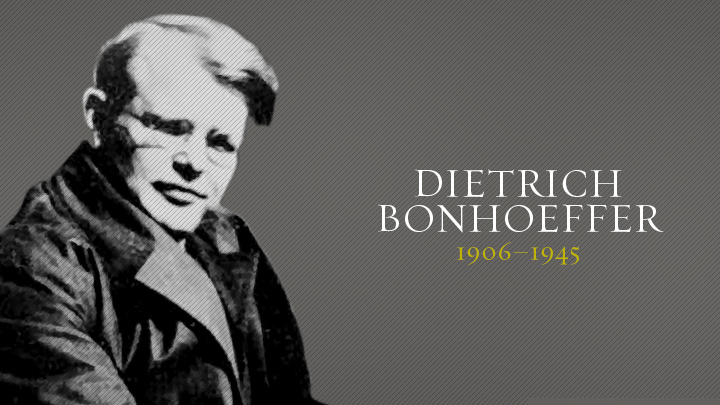 Dietrich Bonhoeffer was many things — poet, scholar, teacher, spy and more. The German Lutheran pastor was hanged at Sachsenhausen concentration camp April 9, 1945. At just 39, he had published a considerable and diverse body of work. 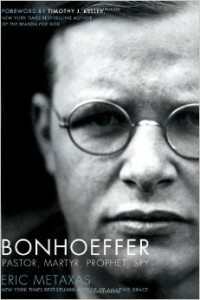 Many have learned Bonhoeffer was a conspirator who plotted to kill Adolph Hitler in July 1944. That’s untrue, according to “Bonhoeffer the Assassin? Challenging the Myth, Recovering His Call to Peacemaking,” by Mark Thiessen Nation, Anthony G. Siegrist and Daniel P. Umbel. “There is not a shred of evidence that Bonhoeffer was linked in any way to … attempts on Hitler’s life,” they write. It’s a persistent fiction nonetheless. Bonhoeffer could have been fodder for Nazi propaganda: He was attractive, smart, hardworking, personable and came from an influential, well-known family. Instead, he believed the Aryan nationalism that swept through post World War I Germany was offensive. I think I know what DB means. As we are prayerfully intimate with Jesus, then his heart and will becomes ours.